Clare is the queen of charity knitting. She is forever using up scraps and odd balls of yarn to make funky hats and socks to give to local groups. 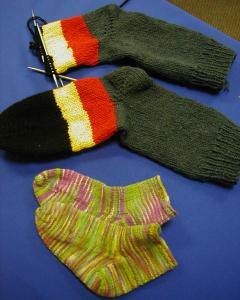 Here she's made a gigantic pair of socks (the green socks are by Dava and are normal size!). How funny. Here it is all done! 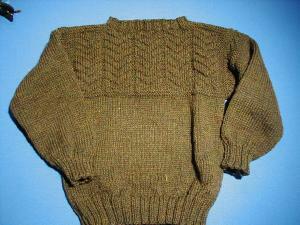 The colors are a little off this time--it's a beautiful heathered black as in the picture above--but you can see the pattern better here. 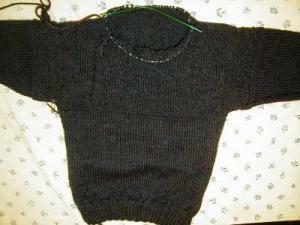 Clare is finishing a sweater for her nephew. Almost there and looking good! !